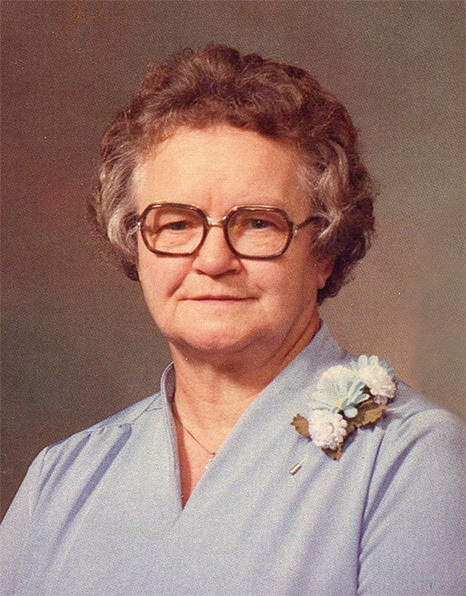 Annie Harder, age 99 years of Altona, formerly of the Rosenheim District, passed away on Saturday, November 10, 2018 at the Health Sciences Centre, Winnipeg. She is survived by her children Susan (John) Reimer, John (Helen) Harder, and Ed (Elizabeth) Harder, as well as 9 grandchildren, 21 great grandchildren, and 1 sister. She was predeceased by her husband Peter A. Harder, 1 daughter-in-law, 1 great grandson, 6 sisters and 2 brothers. Memorial service will be held on Wednesday, November 28, 2018 at 2:00 p.m. at the Altona E.M.M. Church. Interment will take place prior to the service at the Rosenheim Cemetery. Viewing will be at Wiebe Funeral Home Altona on Thursday, November 15 from 9:00 am to 9:00 pm, and Friday, November 16 from 9:00 am to 9:00 pm. Donations in memory of Anne may be made to Operation Smile.